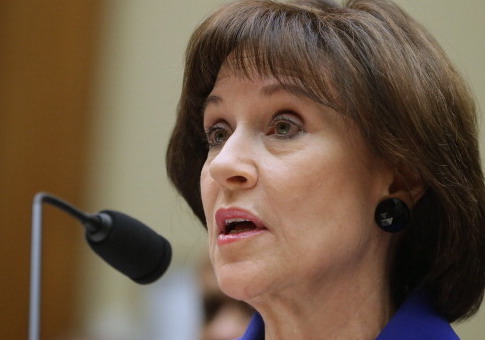 Former IRS official Lois Lerner will not be charged for her actions in the IRS targeting scandal, the Department of Justice said on Friday, Fox News reported. The department sent a letter to Congress saying that, "reopening the criminal investigation would not be appropriate based on the available evidence." Two lawmakers, House Ways and Means Committee chairman Kevin Brady (R., Texas) and Rep. Peter Roskam (R., Ill.) asked the Justice Department to revisit the evidence and look at the case. "Despite numerous hearings and inquiries into the tough treatment of conservative groups by the tax agency during the 2010 and 2012 elections, the Obama Justice Department had announced in 2015 that no one at the IRS would be prosecuted," Fox News states. "They said at the time that investigators had "found no evidence that any IRS official acted based on political, discriminatory, corrupt or other inappropriate motives that would support a criminal prosecution." In response, Brady said this was a terrible decision. "It sends the message that the same legal, ethical, and constitutional standards we all live by do not apply to Washington political appointees," Brady said. Now, he says, they will have the "green light to target Americans for their political beliefs and mislead investigators without ever being held accountable for their lawlessness."